Remembering Hill End Hospital | Hill End, People, Wartime Hill End | Out of Sight, Out of Mind? My parents, Jack Senior and Ann Smith, met in 1938 when they both worked at Hill End Hospital (HEH). Dad was a nurse and Mum had moved from Nottingham to be “Matron’s Maid”. It may seem extraordinary now, but in those days Matron was considered so important that a young woman was employed to make her life run smoothly by taking her morning tea, running her errands, ensuring her uniform was perfect and her rooms were clean. My parents married in March 1940 and because she was now married, my mother had to leave her job. They were allocated a hospital house, then called 31, Beastney Estate, later renamed 340, Camp Rd. In July 1940, my father enlisted in the Royal Army Medical Corps as an Operating Room Assistant, and spent the war in various Mobile Field Surgical Hospitals across North Africa and Southern Europe. During this time my mother and my sister, Dorothy, who was born in 1941, were allowed to remain in the house in expectation of Dad’s return. Dad was demobbed in 1946 and continued to work at HEH until his retirement in 1970. 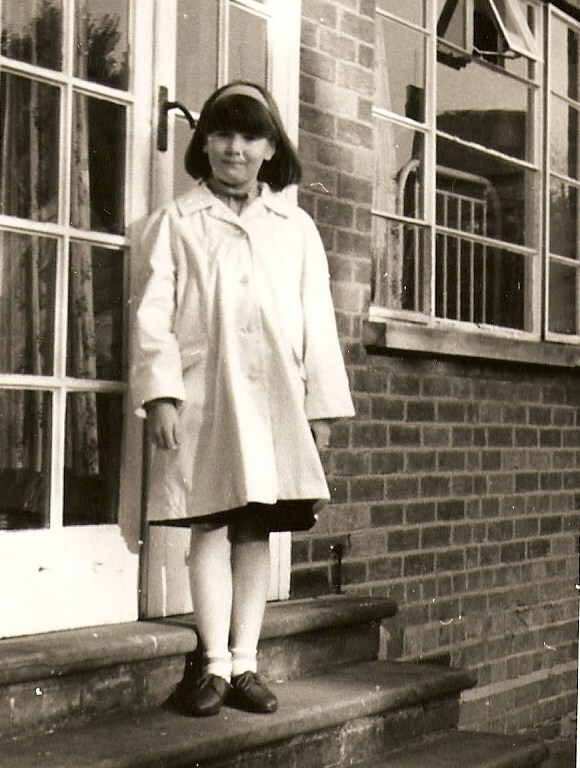 My brother, John, was born in the house in 1947, delivered by my Aunt Alice who along with her husband, my Uncle Albert Smith, worked at HEH and lived in Hill End Lane. I arrived in 1956, and my godparents were Charge Nurse Ralph Robson and his wife, Elsie. I hope this goes some way to illustrate what a close community the HEH staff were. It is unusual to be neighbours with all your work colleagues. We knew most of the people who lived around the hospital one way or another. Help was readily available and favours were exchanged. You could rely on someone taking the washing off the line if there was a sudden shower! For children it was a great place to grow up. We had access to the hospital gardens and the football field. There were always people around who knew our names. We also knew our actions would soon reach the ears of our parents. We often encountered patients, either in the grounds or nearby streets and had been taught to be friendly and respectful towards them. Many families spent leisure time at the hospital too, and made use of the staff social club and went to the hospital dances. I particularly enjoyed the Christmas pantomime. Boxing Day was a highlight of my Christmases, as we used to “do the ward rounds”. My dad was aware that many patients did not receive visitors even at Christmas, so our family used to visit several wards on Boxing Day afternoon, to have tea and mince pies with the patients who wanted to join us. I know several other nurses’ families who did the same. We received many Christmas cards from patients. Mr Olaf Cowley, a long-stay patient, used to send us a personalised card that he had printed using his wages from his job at Campfield Press. He also used to give me half-a-crown on Boxing Day – a whole week’s pocket money! I also used to enjoy talking to the mynah bird which was resident in one of the wards. Both staff and patients had taught the bird to speak. It had quite a repertoire and would screech profanities from one end of the room to the other. Our house was situated facing the green that runs between Drakes Drive and the ash path, that leads down to the allotments and then onto Drakes Drive opposite the children’s playing field. During my time there, the Taylors lived next to the ash path at 330, Camp Rd followed by the Booty family. At 332, were the Pooles followed by the Sands. At 334, were Stan and Ethel Downs’ family. Mr Down was hospital administrator before Mr. Booty and after he retired, he and Mrs. Down ran the patients’ shop. Mrs Harrup and her adult son lived at 336, followed by the Billinghams. The Fosters, followed by the Gaudis, were at 338. The other side of us were the Dimolines, followed by the Hewitts who emigrated to New Zealand, followed by the Doels. Mr. Doel came to HEH in the late 1960s to oversee the new adolescent unit, Jenner Villa. I believe I can still name most families who lived between Drakes Drive and the hospital gates and along Hill End Lane. Among them were the Angelow family whose son, Michael (yes really!) made the news in 1975, when he streaked at Lords Cricket Ground during the Ashes. Another famous name connected with HEH is Richard Gordon, author of the “Doctor” books, who under his real name of Dr. Gordon Ostlere was the Senior Resident Anaesthetist at HEH in the late 1940s, whilst he was still only in his twenties. Many of his books were written using his experiences as a medical student and then a doctor at Barts, London and HEH. My father had first-hand knowledge of one incident when one of the medical staff was about to be married. Dad, Dr. Ostlere and a few other staff took the young man out for a final night of freedom. After several drinks the groom passed out, and when he came to his leg was in a plaster cast from ankle to groin. He had no recollection of falling down some stone steps and breaking his leg. The wedding was the following day, and bride and groom duly went on a short honeymoon. On their return, the bachelor party confessed that there was nothing wrong with the groom’s leg and the plastering had been “a bit of fun”. I wonder if the bride and groom shared the joke? I don’t know if this antic ever appeared in Richard Gordon’s books but I know my father always felt quite guilty about it. Dr. Ostlere retired from medicine in 1952 to concentrate full-time on his writing. Dad progressed to Charge Nurse and spent much of his time on Drake Ward, Edison Ward and latterly, I believe, on Everest Ward, which was still a locked ward in the late 1960s. We moved house in 1969 in preparation for Dad’s retirement, but I continued to go to Red Cross and Girl Guides in Cell Barnes Lane, so I would walk to HEH afterwards to get a lift home with Dad when he finished the late shift at 9pm. One evening I arrived and found the door to the ward locked, and the keys in the lock on the outside. Thinking they had been left for me, I let myself in, locked the door behind me and hung up the keys in the nurses’ office. I soon found there were no staff on the ward. Twenty minutes or so later Dad returned to find me refereeing a heated discussion between two groups of patients about which television channel to watch. Dad had been called away to help with a violent female patient and his temporary nurse had “slipped out”, accidentally leaving his keys in the door. On the nurse’s return, he was reprimanded in a manner that would have made that mynah bird blush. During my father’s last year or so at HEH, he was involved in a new project. He went on fact-finding missions to Broadmoor Hospital, Wormwood Scrubs, and other prisons to gather information about prisoners with mental health issues who had slipped through the safety net. He also started visiting families of long-stay patients, with a view to helping them understand that their relatives may be well enough to return home with the proper medication and support. These were the first steps towards a “Care in the Community” policy, which some families thoroughly welcomed and others found frightening and worrying. My father’s ward orderly for many years was Pat Doyle. His two regular staff nurses were Eric and Ernie. Ernie Stratford died in the early 1970s while still in his forties, and I believe Eric Butler died around 1999. My parents have also passed away, as no doubt have many of the staff and patients that I remember. They were just a few of the many HEH nursing and non-medical staff, who worked hard to improve the lives and restore dignity to some of society’s most vulnerable people. Their dedication would have been mirrored in the other mental hospitals in the St.Albans area. I applaud the “Out of Sight, Out of Mind?” project and look forward to reading many more contributions to it. I think it is a wonderful memorial to the patients and staff of these great hospitals. As a footnote to the above, my father was a keen photographer and in the 1960s did his own developing and printing, as well as that of many of his colleagues. 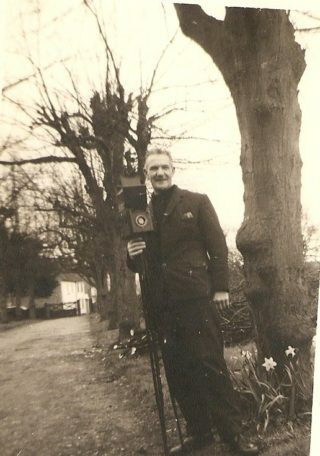 He also photographed many of them for their passports, and was the official photographer at quite a few weddings. Sadly these photographs were thrown away when he died, but I did find the two attached, which I believe we took in the hospital grounds whilst experimenting with his new tripod and camera. This page was added on 25/09/2010. Hello. Thank you to everyone who commented on my post. I’m glad it was of interest to you. Sheila – I have contacted you. Peter – Thank you for your lovely words about my dad. He would be really chuffed that you remember him so. Feel free to contact me. Keith – I remember your father as a very nice man. My dad liked him immensely. There was a Keats Ward at Hill End but I don’t think my dad worked on it unless it was before my time. He was mainly on Drake, Everest and Edison as far as I remember. I remember Bill Pudge but nothing specific about him I’m afraid. Hi Frances, I read your paragraph regarding Christmas at Hill End with interest. My father was Olaf Cowley who you mentioned. I understand he was in Keats Ward, but this website does not mention that ward at all. I would be interested if anyone has any information about Keats Ward or William Pudge, a nurse, Jean Maudling later McGuire (a receptionist book keeper) or any information about the work carried out by my father at the Campfield Press. I found your article very interesting. Hello, an interesting blog, I would safely say this place was a hell hole for abusing children..staff sedating kids for what ever reason..yeah ‘remembering hill end’ how could you forget..
Hello. It was great to come across this site. My father John Power worked at Hill End from 1959 until his retirement. I also worked there as a Domestic during holidays when I was a student. Eric Butler was a family friend and Michael Angelow’s little brother Laurence was in my class at St Albans and St Stephens school. We lived in a hospital house on Drakes Drive from 1959 to 1971. Great memories, thank you. Hello there..I came across your piece on Hill End hospital when researching some info on my childhood for my daughter. My previous name was Patricia Ellis and I grew up at no 35 Hill End Lane. I have a brother, John Ellis (now in Oz), my dad was William (Bill) Ellis, and one of our next door neighbours was the Angello family. I think my dad was at one time the charge nurse of Edison ward. I was born in 1947 actually in the old pavillion, then we moved to no 35 Hill End Lane. I left in 1966. I had some lovely childhood friends, in particular an Irish family ‘down the lane’ called the Ryans. Mary Ryan was a sweet girl. I would love to get some old maps of the area and any other news of families in the community? Thanks from Pat Rowan (Ellis). My family lived at 32 Beastney Estate (338 Camp Road), from when it was first built until 1957/8, when we moved to Firwood Avenue. I remember Dorothy as a playmate for sister Joan (1940) and me (1937), and well remember your father coming back from the war and the birth of John. I had an older brother John (1935). I found your piece while hunting for details of the house on the other side of Camp Road destroyed by an enemy bomb in WW2. I would like to hear from you and any news of Dorothy.